conduit needed to be lowered so that it would not conflict with the sidewalk. the sidewalk at this location by Friday. at Shoal Creek and Allandale but it will take about four weeks to get done. 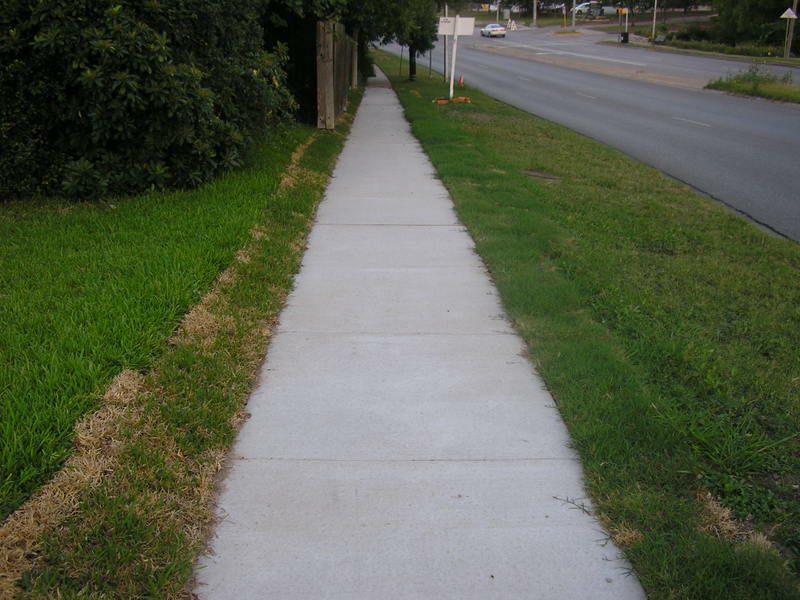 walk safely on both sides of Allandale from Burnet to the other side of MOPAC. walk under MOPAC and access the facilities on the west side of MOPAC. This is a terrific upgrade for the neighborhood. And great news that Shoal Creek will be getting the treatment next. I look forward to the day when a pleasant, green, and shady walk from Allandale all the way to Town Lake will be possible.